We previously posted that this week was 'The Power of Money' and also that we thought this could have an effect on the four recent nominees.. Twist has now been announced and will work as follows..
Housemates are given the chance to add an extra £25,000 to the total prize fund. In this task, Housemates are told that over the next two days they will be given the chance to win a further £25,000 which will be added onto the £100,000 prize fund. In this hit, one Housemate will join the other Housemates who have currently been nominated to face the public vote. A Perspex box will be placed in the House with 3 gold envelopes inside it. This number will reflect the number of Housemates who are not currently up to face the public vote - Ash, Ashleigh and Chris. Each envelope will contain a monetary value; one containing £1000, one containing £5000, one containing £10,000. Ash, Ashleigh and Chris will each draw an envelope. Once everyone has drawn an envelope, the Housemates who already face the public vote must choose one of these three Housemates to join them in nomination. Whichever Housemate they choose will also face the public vote. The monetary value inside each envelope is then allocated to the Housemate that drew it.. Whatever the monetary value of the Housemate who has been chosen to face the public vote will be added to the prize fund. E.g. If they choose Ash to face the public vote, and Ash’s envelope says £5000, then £5000 will be added to the prize fund. Winston and Ash are given the chance to earn some money for the prize fund. In the Garden a salon chair will have been set up. Winston and Ash can elect to add to the prize fund if they allow Helen to give them Helen’s Special Haircut, the same haircut Helen has given to Christopher and Mark in the past. Winston and Ash will be provided with visual reminders of exactly what Helen’s Special Haircut consists of. If they choose to have the haircut, they will add the money to the prize fund. Big Brother is willing to give the Housemates an amount of money to add to the winner’s prize fund. The three Housemates who did not receive their letters from home (Mark, Chris, Christopher) will be given the opportunity to spend time with one of their family members. One by one, each Housemate will be called to the Diary Room. Whilst here, they will be able to see on the screen that one of their family members is downstairs in the Family room. They are told that they can go down and spend some time with their family member. However, as soon as each Housemate enters the Family Room, the money available will start counting down, e.g. for every second spent with their family member, £20 will be taken off the total that will be added to the totaliser. Once in the Small Task Room, there will be no clock/money count down so that the Housemate in there will not know how long they have been or how much money they have spent. One Housemate can spend the whole time in the Family Room, using all the money. Alternatively, they can try and split the time between all three Housemates so they all get equal time with their family member. Or, alternatively, they can all choose to spend no time with their family member, resulting in the full amount being added to the totaliser. Big Brother has just announced this week’s big twist, involving both nominations and the prize fund. 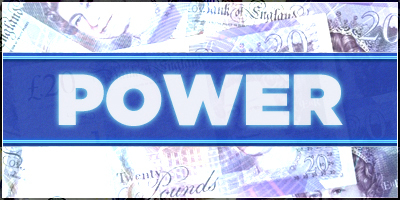 Over the two days, housemates will be given the chance to win a further £25,000 which will be added onto the £100,000 prize fund. In this hit, one Housemate will join the other Housemates who have currently been nominated to face the public vote. A Perspex box will be placed in the House with 3 gold envelopes inside it. This number will reflect the number of Housemates who are not currently up to face the public vote – Ash, Ashleigh and Chris. Each envelope will contain a monetary value; one containing £1000, one containing £5000, one containing £10,000. Ash, Ashleigh and Chris will each draw an envelope. Once everyone has drawn an envelope, the Housemates who already face the public vote must choose one of these three Housemates to join them in nomination. Whichever Housemate they choose will also face the public vote. The monetary value inside each envelope is then allocated to the Housemate that drew it.. Whatever the monetary value of the Housemate who has been chosen to face the public vote will be added to the prize fund. Big Brother is willing to give the Housemates an amount of money to add to the winner’s prize fund. The three Housemates who did not receive their letters from home (Mark, Chris, Christopher) will be given the opportunity to spend time with one of their family members. One by one, each Housemate will be called to the Diary Room. Whilst here, they will be able to see on the screen that one of their family members is downstairs in the Family room. They are told that they can go down and spend some time with their family member. However, as soon as each Housemate enters the Family Room, the money available will start counting down, e.g. for every second spent with their family member, £20 will be taken off the total that will be added to the totaliser. Once in the Small Task Room, there will be no clock/money count down so that the Housemate in there will not know how long they have been or how much money they have spent. One Housemate can spend the whole time in the Family Room, using all the money. Alternatively, they can try and split the time between all three Housemates so they all get equal time with their family member. Or, alternatively, they can all choose to spend no time with their family member, resulting in the full amount being added to the totaliser. The task will continue tomorrow in the house. Yep you're not wrong there Erin. I am so pissed off reading that . Me too but you could see it coming a mile off sadly. Obviously they haven't got someone up that they want up yet. that's not all though as Emma said a lot is happening this Friday! Would've preferred a Marlon style buzzer with the one who presses it walking away with the money! The 4 nominee's will do as Helen says and NOT pick precious boring Ash. She can't lose her bed mate .. I think they will choose Chris to join them facing eviction. I don't think either Ash or Winston will allow Helen to touch their hair. Not sure about the family member thing, Maybe Mark will go for it? It's better than a save and replace I suppose, since it means Mark will still be up, but yeah they'll probably go for Chris After Rylan's "Chris isn't currently up" comment I guess this was designed just to get Chris up. It keeps getting more and more ridiculous. I think even Emma and Rylan are getting pissed off with all the interference. They desperately needed to sack the current bunch of producers and get a new lot in. BB16's tagline needs to be "Big Brother - Old School"
it will be Chris up and that's it. this other crap is just an aside ,BB know they will not have their hair cut and no one will at this stage take a visit from a loved one ,certainly not Chris. Hmm that's why I mentioned Mark though because he has been genuinely worrying about what his family think of him and he hated not getting the letter from home too, I think he could do it. Yep it will be Chris up again but I hope he goes and spends the whole day with his family member and wipes out the entire prize fund - that would make me laugh!!! Mark would spend an hour in there with his family.... he's that self-centred, and he realises he's not going to win now. Sounds quite good tbh! I don't really mind who wins now, I like them all, so looking forward to actually watching it!